Google ‘fatherlessness UK’ and you’ll find the last article published on the topic in the mainstream media was a year ago, a whole year after the one before. Iain Duncan Smith is the lone politician to have identified the problem and the need to address it. Him apart, the fact that a million and more children are growing up without fathers has not generated much media interest. Nor has the fact that the number of lone parent-led families is increasing by 20,000 a year, nor that in some areas of the country fatherlessness has reached such high levels that they are virtual ‘men deserts’. Of the two million lone parent-led families (nearly a quarter of all families with dependent children) in Britain, 1.6million are lone mother-led. One in five of the children never has or loses all contact with the father. Where America leads, we follow. 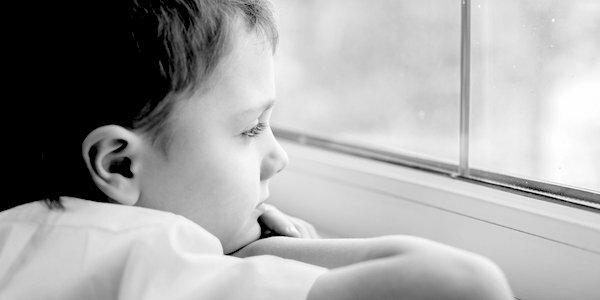 In the US more than 17million (some 24 per cent) of children live in fatherless homes. It matters there and it matters here. This cultural revolution has come at a shocking cost. It is bad for families, it is bad for fathers and it is particularly bad for boys. Fatherlessness feeds a downward spiral of male despair, evidenced first in such boys doing badly (what mother would make that choice for her son if she knew how his life chances were affected?) in education, work and health. As men they are at higher risk of dying younger, whether from drug or alcohol abuse, or suicide – all rates which are rising exponentially, as Arthur Brooks of the American Enterprise Institute has so dramatically pointed up. Fatherlessness feeds a tragic cycle. Boys without fathers do worse at school and are therefore less likely to get jobs. Unemployed, they are less like to be married or to be active and available fathers to their sons who don’t do well and don’t get jobs . . . In 1970s America only 6 per cent of able bodied men were unemployed. Today Brooks says it is 16 per cent. Male economic activity is on the decline in this country too, as female activity rises. These are disparities that should be the top social issue in both the US and the UK. They are not. We seem to living in some sort of feminised cloud cuckoo land where men don’t matter and where they and their masculinity are not needed. They do matter and they are needed. In the US, at least, the fightback has begun. Over the last six weeks The Daily Caller has run an in-depth series on fatherlessness by Terry Brennan, co-founder of Leading Women for Shared Parenting. In the first, he explains the fatherlessness problem in America America Has A Major Fatherlessness Problem On Its Hands. His second article shows how the establishment itself creates fatherless kids The Establishment Creates Fatherless Kids; the third asks whether schools can help with fatherlessness and how Can Schools Help With Fatherlessness? Absolutely!. The fourth focuses on the laws that too many States have which (as in the UK) offer financial incentives to destroy families Too Many States Have Laws That Literally Offer Financial Incentives to DESTROY Families and the fifth lays into popular culture (advertising and media) for portraying fathers as ‘drooling idiots’ American Popular Culture Has Portrayed Fathers as Drooling Idiots for Way Too Long. For the last of the series Terry hands over to Warren Farrell, author of the recently published The Boy Crisis: Why our boys are struggling and what can we do about it? to explain just why dads are so important?. I challenge the mainstream media over here to do the same.